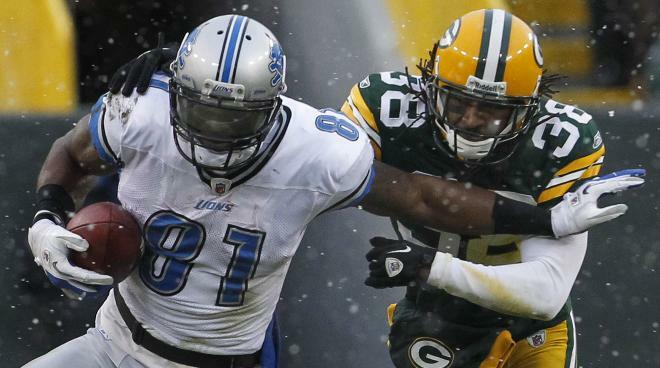 Here is the interception that kept the Packers in the NFC North race. What a bounce to Tampa Bay, I almost feel bad for Matt Stafford here. Then I realized that half of his throws are just tossed up to Calvin Johnson and Johnson makes ridiculous catches! With Calvin Johnson not playing in this week 5 match-up was enough to give the Green Bay Packers (2-2) a win against division leading Detroit Lions (3-2). 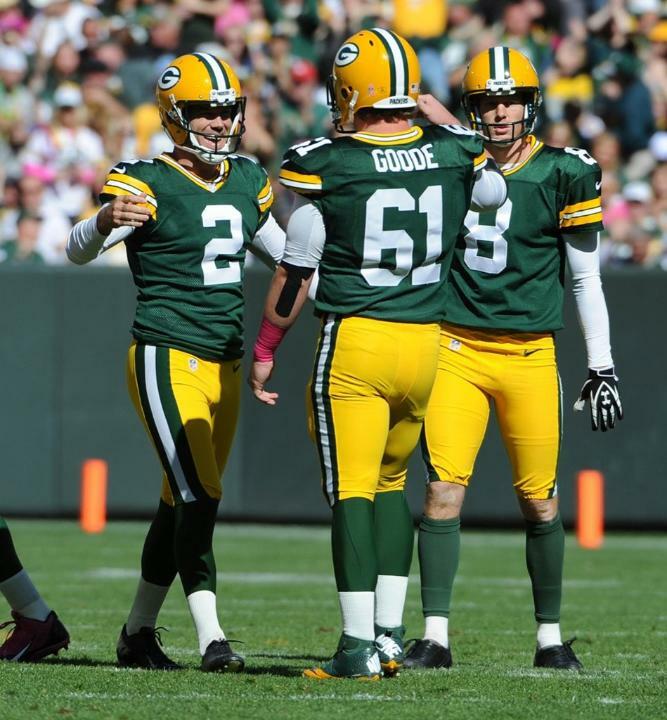 The Packers won 22-9 behind five field goals from Mason Crosby. 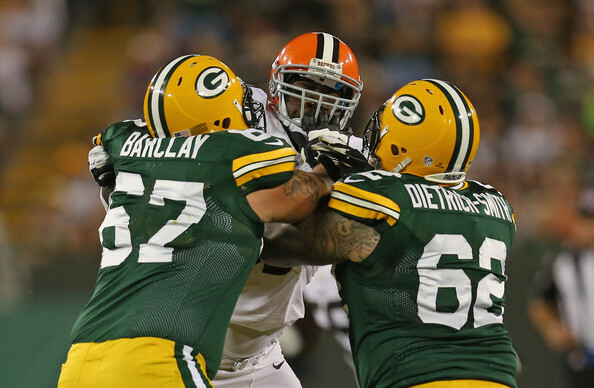 Another injury for Clay Matthews is not what the Green Bay defense needs. Nick Perry and Mike Neal really stepped up in Matthews absence and may need to for a couple weeks if Matthews thumb needs surgery. If Matthews doesn’t have to go under the knife he will be able to wear a club cast and play next week. We’ll have to keep an eye on that moving forward. The offensive line really took care of business. Not only did they help the run game, but they only allowed one sack and one QB hit, both by Ziggy Ansah. Good call by me. The Packers head to M&T Bank Stadium to take on the defending Super Bowl Champion Baltimore Ravens. The Packers can move to above .500 for the first this season and get their first road win of the season. A win here can really get the Packers on a roll. Debo Lets Loose will be attending this game so expect a little extra in the preview and week in review. The Packers (1-2) are back from their week 4 bye week and are a lot healthier getting Eddie Lacy, Clay Matthews, Jermichael Finley and Morgan Burnett back. The Packers are welcoming the NFC North leading Detroit Lions (3-1) to Lambeau Field, the Lions have not won in Wisconsin is 22 straight games dating back to 1991. The match-up of division rivals is a big game as a win by the Lions would put them up by 4 games in the division over the Packers. This is a must win for the Packers and I think they know it! 1. Packers Offensive Line vs Lions Defensive Line. There is no question that the Packers studied the tape hard this week. The Lions have Ndamukong Suh, Ziggy Ansah and Nick Fairly and are just a terrifying trio of pass rushers and the Packers have a rookie left tackle and a 1st year starter at right tackle. 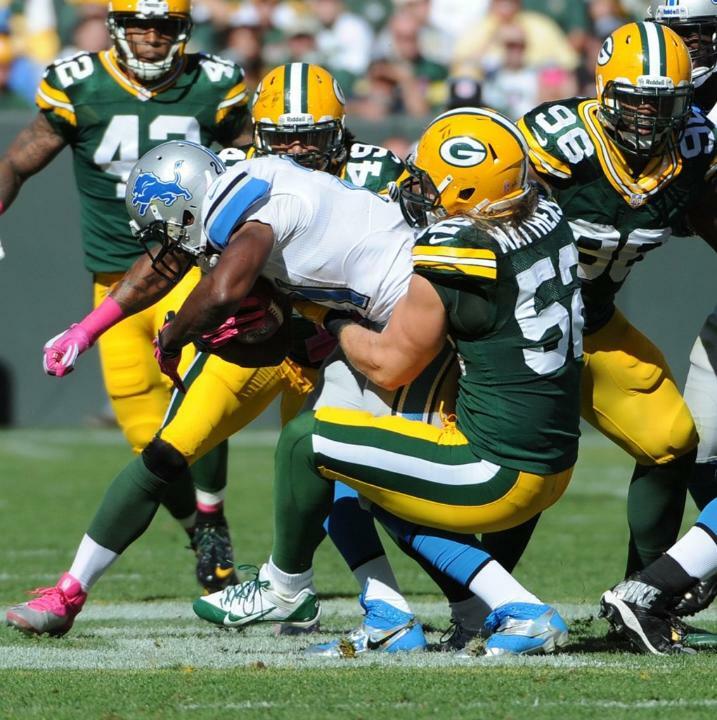 If the Packers linemen can keep the Lions off Aaron Rodgers the Packers are going to put up a ton of points, but if they can’t then the Lions may end their Wisconsin losing streak. Can Don Barclay and company keep Aaron Rodgers on his feet? 2. 3rd Down. The Lions defense is #1 in the league in 3rd down defense while the Packers offense has only converted 36% of 3rd down chances. This is a bad match-up for the Packers to get better on 3rd down, but if they can get up to 50% for the game it’ll keep Calvin Johnson on the bench. 3. Calvin Johnson. Johnson owns the Packers, it’s not even fair. Can the secondary slow Johnson down enough to not let this become a shoot out? 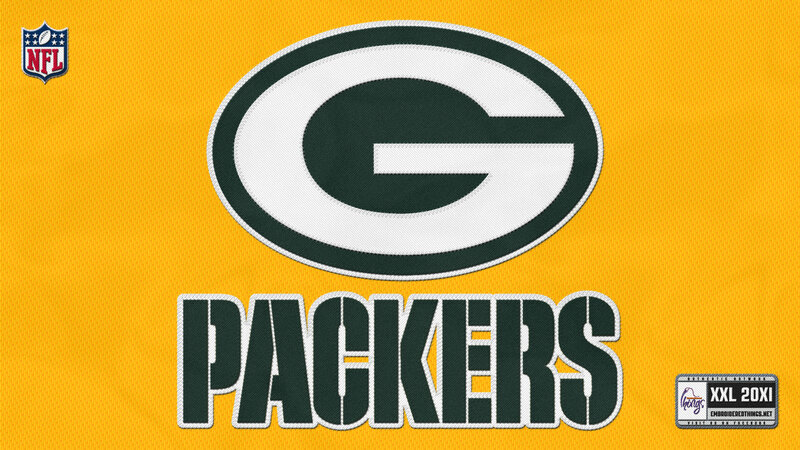 I am not very confident since the Packers defense ranks 28th in the league and lets up 404 yards per game. I’m going with Calvin Johnson here, even if the Lions lose he is still putting up 150 yards and 2 scores. Megatron is an absolute freak of nature and with Diddy doing all his interviews and public appearances what else does Johnson have to do, but workout and get better? Tough match-up here, but I see Matt Stafford throwing one of his bad interceptions and Suh costing the Lions 15 yards with a personal foul. 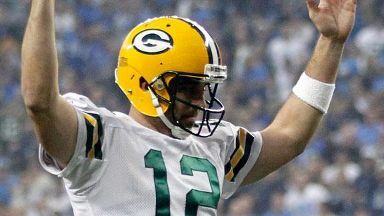 Packers win to keep the streak alive for one more year and inch back into the playoff hunt 37-27.